Brighton Implant Clinic offers dental implant prices as low as £995. We have been offering affordable dental implants for almost 7 years. Our dental clinics are specially designed to provide dental implants to clients. Our team of professional dental surgeons have developed extensive cosmetic dental surgery training and valuable experience over the years. What are the treatments included in the £995 deal? We also offer a FREE initial assessment that takes about an hour. During the initial consult, a panoramic radio-graph may be performed to thoroughly assess a patient’s dental condition—this is also FREE of charge. 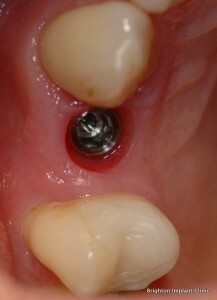 A CT scan may be required during the planning stages of the dental implant treatment and is charged separately at £95. If sedation, temporary dentures, bone grafting and provisional crowns are needed, these are also charged separately. Dental implants have proven themselves to be the most efficient, comfortable and conservative options when it comes to tooth replacements. The affordable cost of dental implants at Brighton Implant Clinic has enabled many patients to have dental implant treatment. Our clinic has experienced a significant increase in patient numbers since the opening of our implant clinic in 2009. 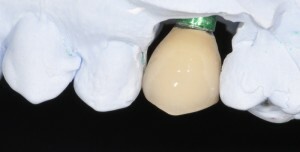 And in the year 2010 alone, Dr. Bruno Silva has placed more than 1,000 implants. Dental implants are a safer and more predictable treatment for missing teeth. With a success rate of more than 95%, dental implants the best solution for missing teeth.